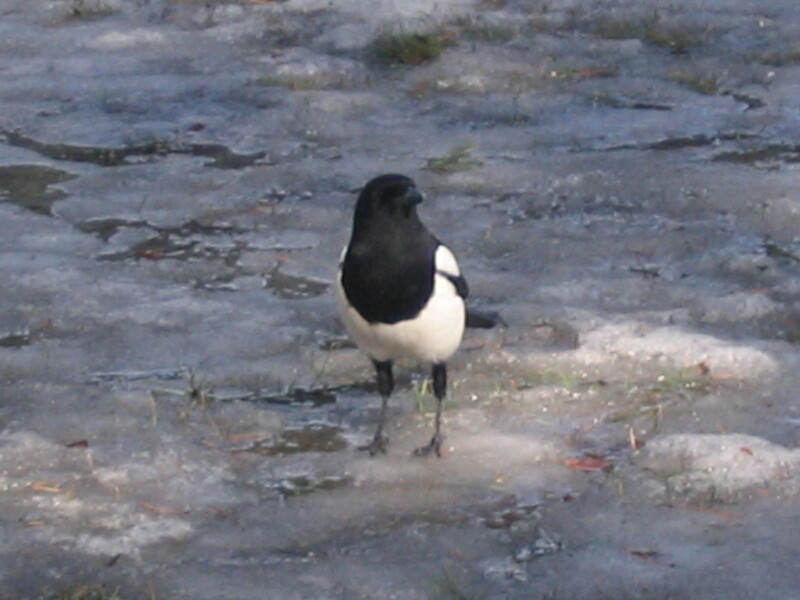 A crow (I think?) 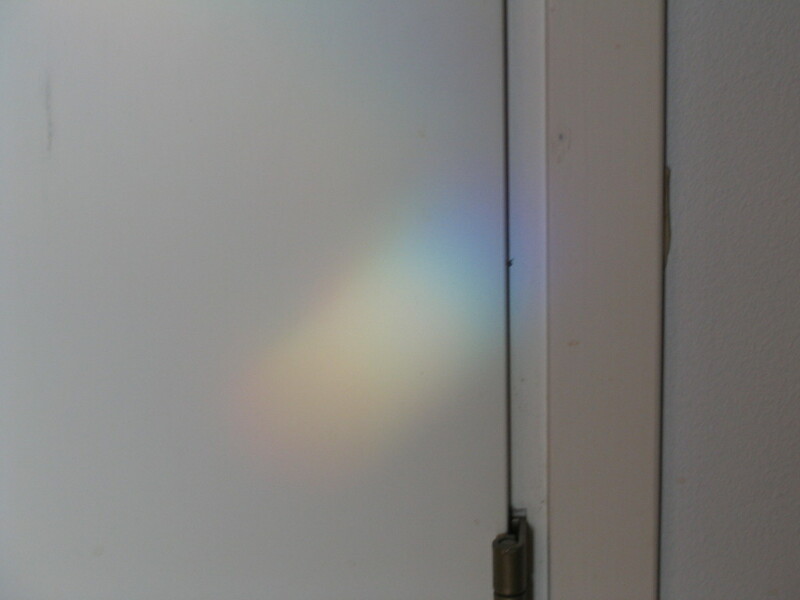 with striking plumage. 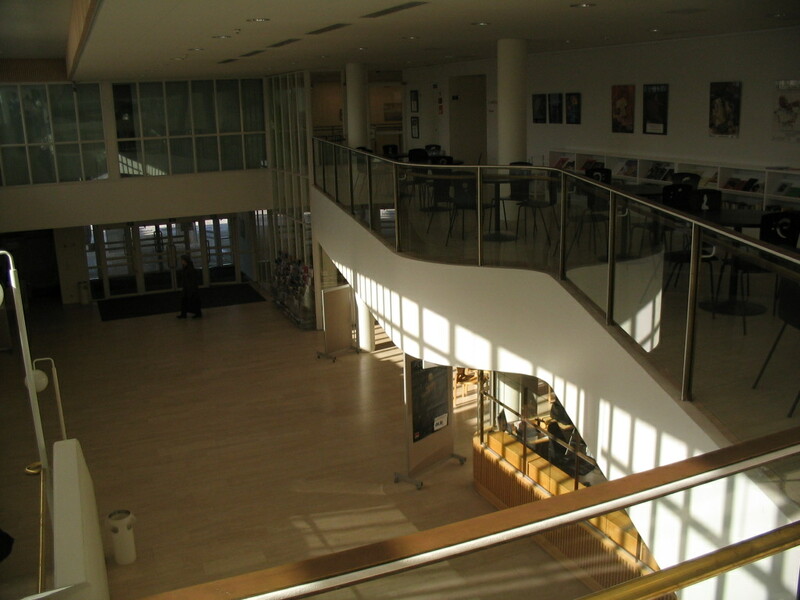 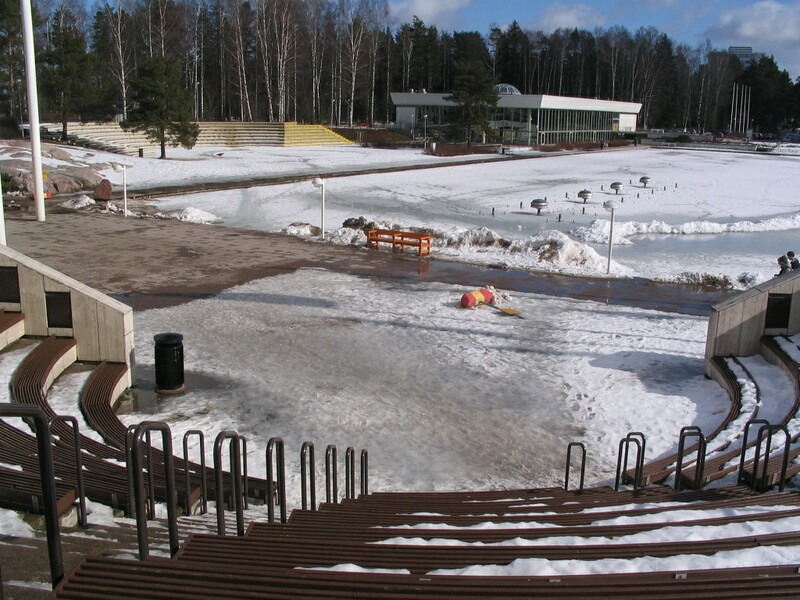 An amphitheater outside Kulttuurikeskus; in the background is the swimming hall. 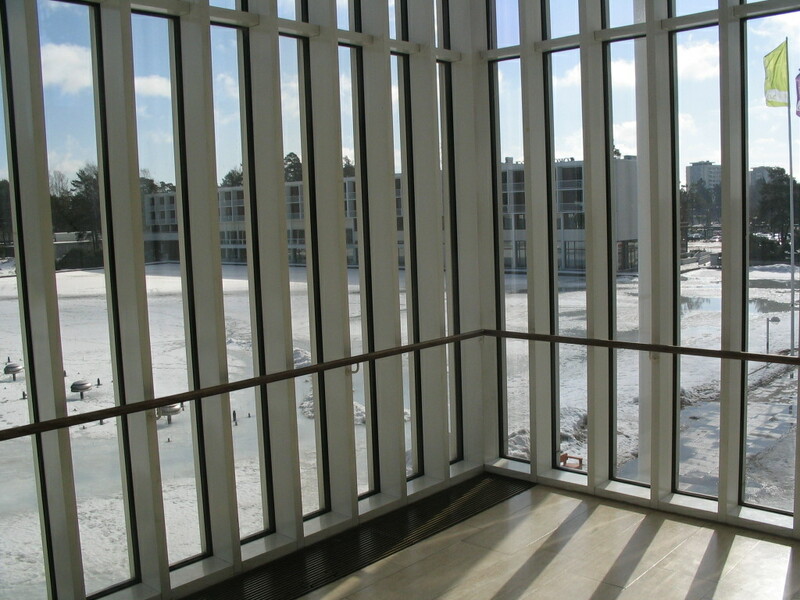 Looking out to the pool and the hotel from a lounge inside Kulttuurikeskus. 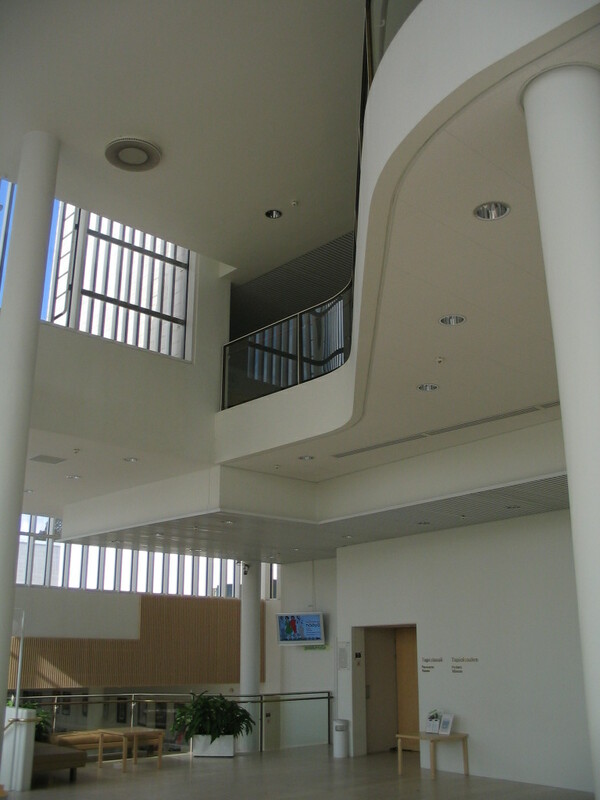 The center has a number of Aaltoesque elements, though it's of more recent vintage. 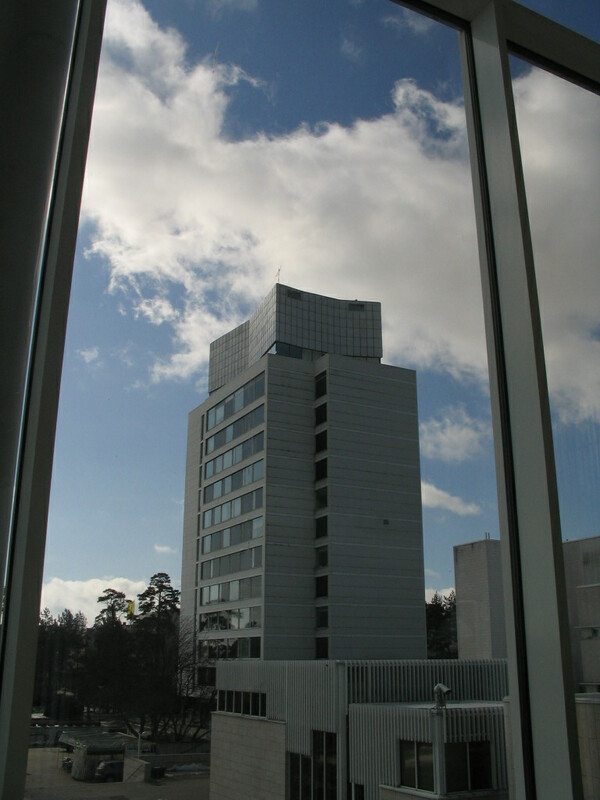 Tapiolan Keskustorni (Central Tower), one of the oldest buildings in Tapiola. 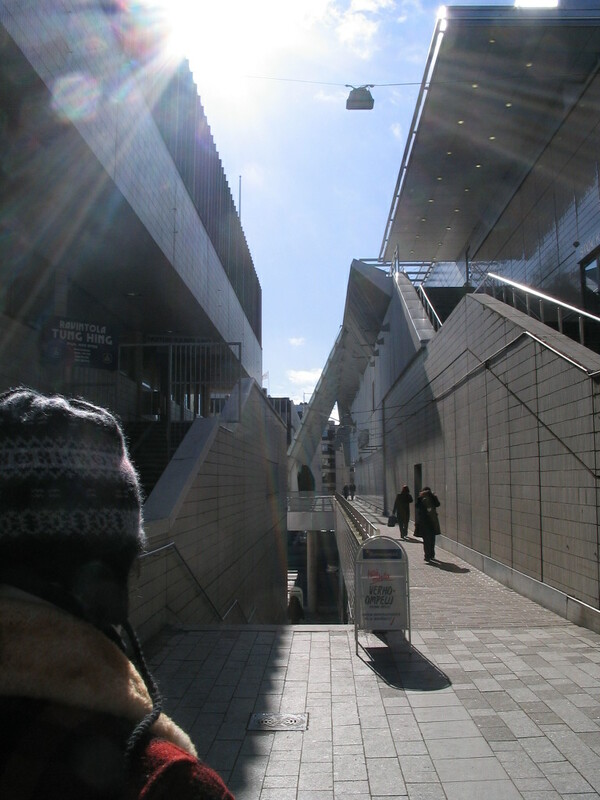 A school (elementary school, I think) nearby. 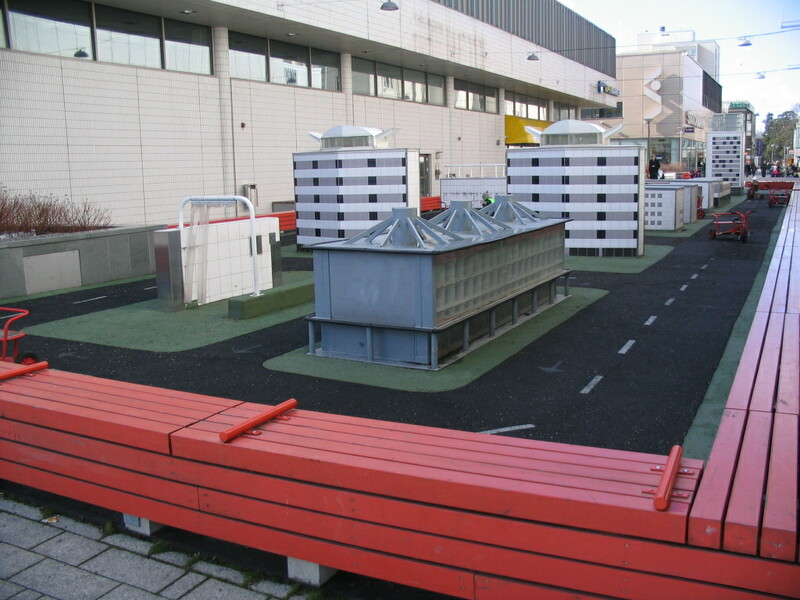 Mini-Tapiola: a model of the center of Tapiola, in the center of Tapiola. 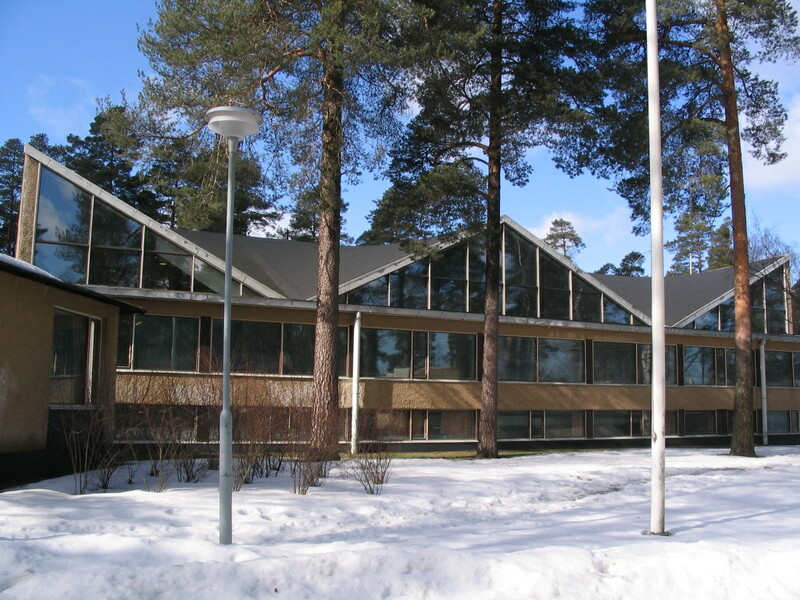 More like Meta-Tapiola. 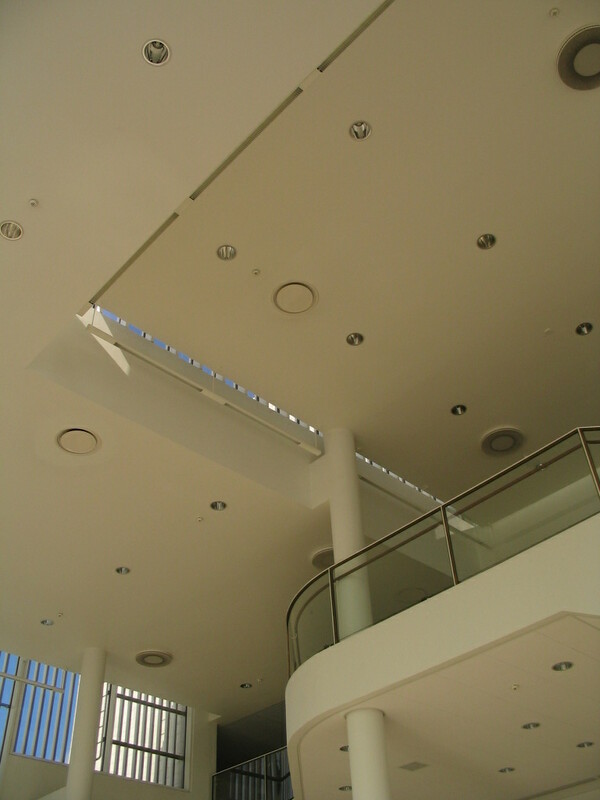 There's also this big shopping center. 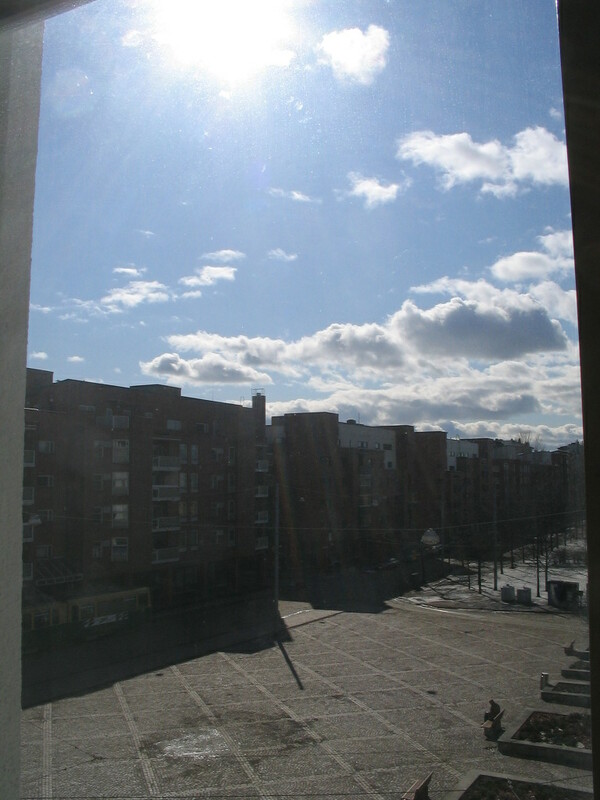 Back at the apartment: a beautiful afternoon. 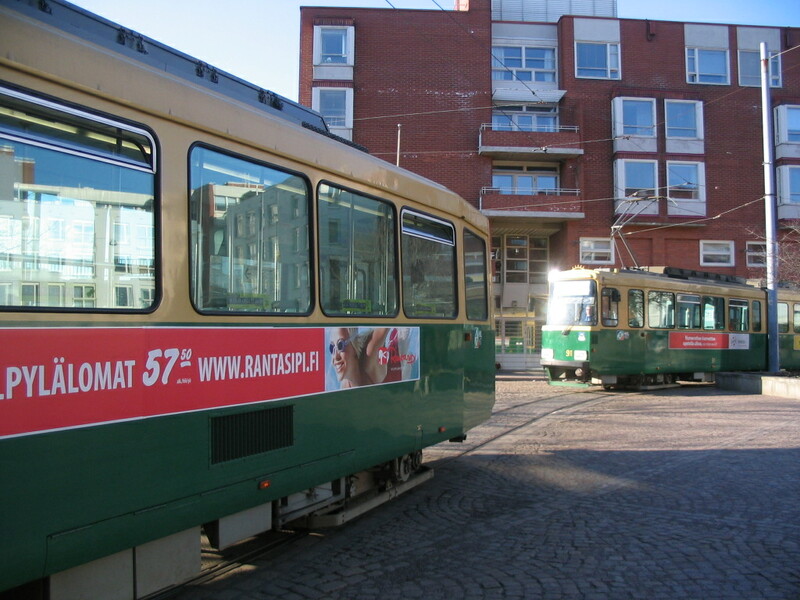 An unusual queue of trams in Merisotilaantori. 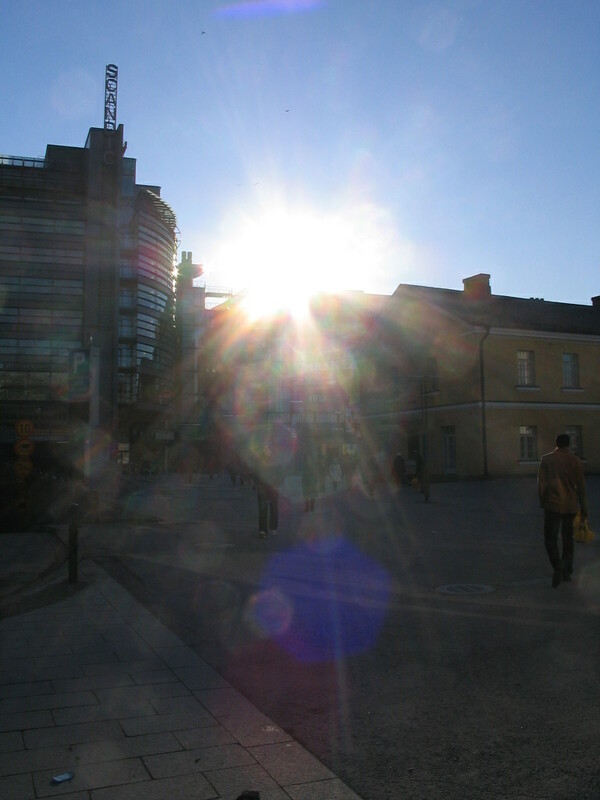 The sun explodes atop Kamppi.